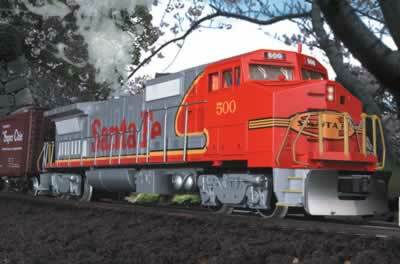 For followers of modern era diesel power MTH is producing models of the General Electric Dash-8 locomotive with both twin and triple axle trucks with two cab designs, firstly with the wide cab as depicted above and following up with the more traditional narrow nose version. 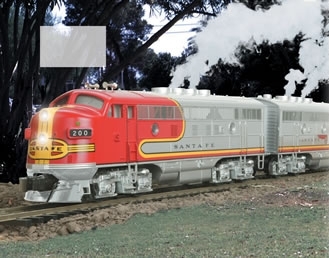 For those who prefer to operate diesels alongside the final giants of the steam era MTH has announced the EMD F3 A and B units. 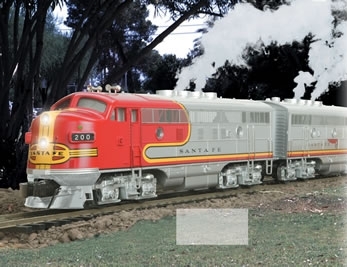 In the late 1980s, as General Electric and General Motors' Electro-Motive Division engaged in heated competition (that continues today) for marketshare in the high horsepower category, GE announced the Dash-8 class of diesel locomotives. Although the first demonstrator version had only 3,200 hp, most of the Dash-8s had 4,000 hp when delivered. 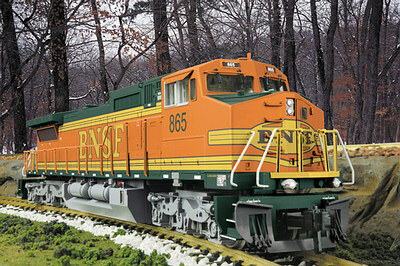 Because GE builds its diesel locomotives in five modules, it was able to customize its Dash-8s for each buyer to an unusual degree. 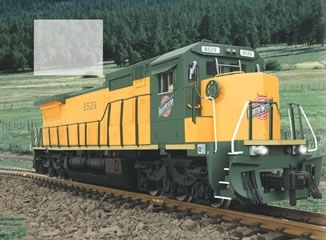 Some railroads ordered their Dash-8s with the conventional narrow cabs, while other opted for the wider safety or comfort cabs. Some Dash-8s have 4-wheel trucks, and other have 6-wheel trucks. All this variety means that these diesels, which were designed for fast freight duty, are also well suited for Amtrak's passenger service. Despite their many differences, all Dash-8s share microprocessor control. The microprocessor, a small computer, regulates rpm, fuel injection volume, generator excitation, and many other operational features to make the engines run more efficiently than any diesel ever had before them. M.T.H. is proud to make this rugged American prototype available to gauge one modellers in a variety of roadnames that are sure to please. 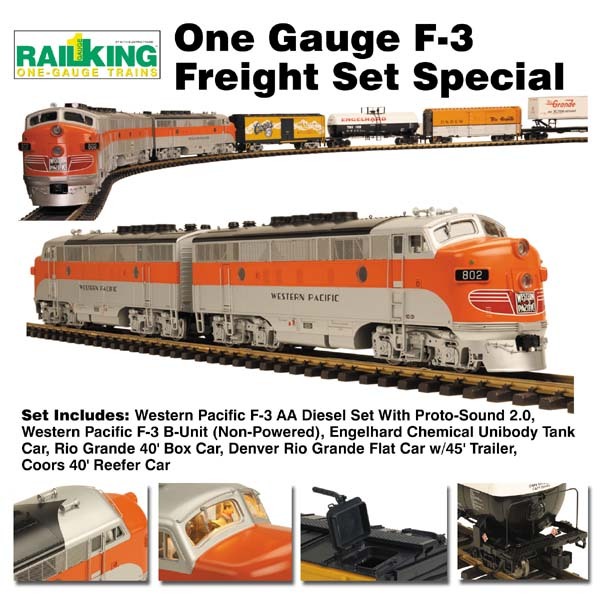 Available in the markings of Amtrak, Santa Fe, Chicago NorthWestern, Norfolk Southern, and Union Pacific, these highly detailed 1:32 scale models provide realistic operation and the long list of features shown. Pull-out fact: The microprocessor in the Dash-8 prototype recognizes if the engine is overheating while in a tunnel, as opposed to a malfunction on the open rails, and allows it to keep operating a full power for ten minutes, so the crew doesn't find itself stranded in a tunnel.